2019 KBS Release - Founders Brewing Co.
Posted on January 30, 2019 by Founders Brewing Co.
We’re pleased to announce the release of 2019 KBS, one of our favorite and most-anticipated releases of the year. While our distribution has grown leaps and bounds over the years and our Barrel-Aged Series is available in more markets than ever, we want to ensure our local community has the opportunity to get KBS before anyone else. That’s why we’re releasing it in our taprooms via online ticket sales a week earlier than the rest of the country! Each ticket purchased includes an 8oz pour of 2019 KBS to enjoy during the month of March at either of our taproom locations (Grand Rapids & Detroit). KBS is our bourbon barrel-aged imperial stout brewed with coffee and chocolate. It comes in at 12.2% ABV and will be available on draft, in 750mL bottles and in 12oz bottles. When will 2019 KBS be available? KBS will be available on draft and bottles in both taproom locations beginning on March 8. The taproom release does require 12oz bottles to be purchased via online ticket sales. More info below. KBS will be available nationwide on draft and in bottles beginning on March 15. Where can I find KBS? 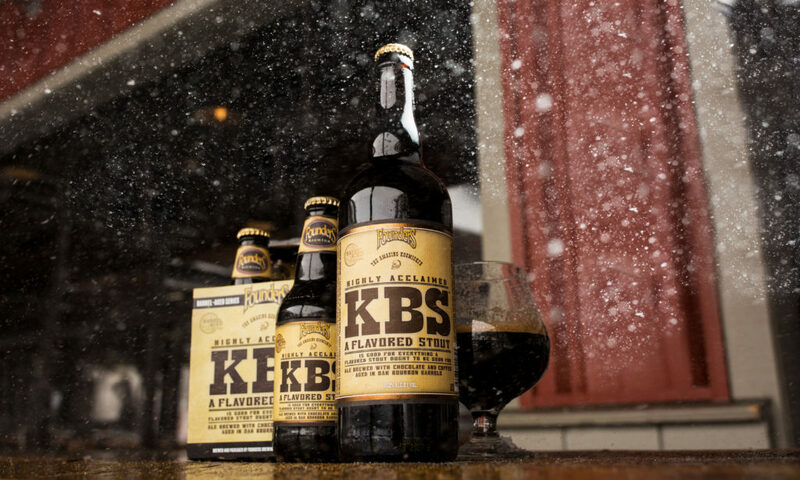 Look for KBS on tap at your favorite local bars and restaurants beginning on March 15. Search for tapping events near you here. You can also find it in local retailers and bottle shops beginning on March 15. It will be searchable on our beer finder. Please note that it can take up to 30-60 days after ship date to appear on our beer finder. Mug Club: Wednesday, February 6, 2019 at 10am EST through Thursday, February 7, 2019 at 11:59pm EST. Mug Club members are guaranteed an opportunity to purchase up to (2) tickets, total during this time frame. Mug Club members are welcome to participate in the General Admission sale as well. The email you have registered as your point of contact for the Founders Mug Club will serve as your one time use promo code which will allow you access to the early on sale. We’ll be doing a double location release, so please pay close attention to dates, times and pick up locations. Grand Rapids Mug Club and GA tickets, use this link. Detroit Mug Club and GA tickets, use this link. A single ticket includes (3) 4-packs of 12oz bottles AND (1) voucher for an 8oz pour of 2019 KBS to be used in either taprooms (Grand Rapids or Detroit) until end of business day on Sunday, March 31. You may purchase up to two tickets total. In addition to the 4pack ticket sales, 750ml bottles of 2019 KBS will be for sale in the Company Store starting Friday, March 8, 2019. Customers who have already purchased ticket(s) for 4pack bottles are able to purchase 750ml bottles as well. Friday, March 8-Sunday, March 10 at both locations from 11am-8pm. Grand Rapids: Adjacent to our administrative entrance on the corner of Grandville and Williams. Detroit: Warehouse entrance on the northeast side of the building, near the bike racks. Can someone else pick up my bottles? Yes, proxy pickups are allowed, as long as the person picking up complies with the above. If you arrive to pickup bottles and the pickup area is closed, head to the Company Store. All tickets are non-transferable between pickup locations. Refunds for unused or lost tickets? Refunds will not be issued for unused or lost tickets. Any reservations that are not completed during the assigned weekend will be forfeited by the ticket holder and added to the taproom inventory, which will be released to the public at a future unannounced date in our taproom. We will not be hosting a KBS Week this year although there will be plenty of celebrations throughout March and April around the country! Will there be a KBS draft party? There will be a taproom draft party this year on Saturday, March 9 at both locations (Grand Rapids & Detroit). Stay tuned for more info. « Finalists for our Trip to the Mothership – Brew KBS Contest! Does this mean I need to have my voucher from the bottle sales to be able to get KBS on tap in the taproom? No, you can also purchase KBS on draft in the taproom beginning on March 8! I used to join the mug club just to get the presales on beer like this. Why would I pay extra through eventbrite when I can still buy last years in the store? If you’re going to mass produce like last year, whats the point of preordering it if I can just go to the local store and buy it? Founders is really letting their mug club deteriorate by mass producing the “hard to get” beers, not giving us access to mothership series beer, and charging us extra to preorder. Hi there, you certainly don’t have to preorder, that’s up to you. It does guarantee you the first chance to purchase 2019 KBS, one week ahead of the rest of the country. Also, the ticket price does include a voucher for an 8oz pour of KBS in either taproom throughout the month of March. We will consider expanding the Mug Club preorder options for future releases. Thanks for sharing your feedback! What is the shelf life of your barrel aged limited release beers like KBS and Dank Wood? KBS has a shelf life of 365 days where Dankwood has a recommended shelflife of 180 days. No word yet – you’ll receive a call for help via email if so! Why did I not receive an E-mail Notification of the 2019 KBS release ticketed sales? Hi there, not to worry – we’ll have plenty KBS in our Company Store on March 8 on on shelves nationwide March 15. It should not be difficult to find.